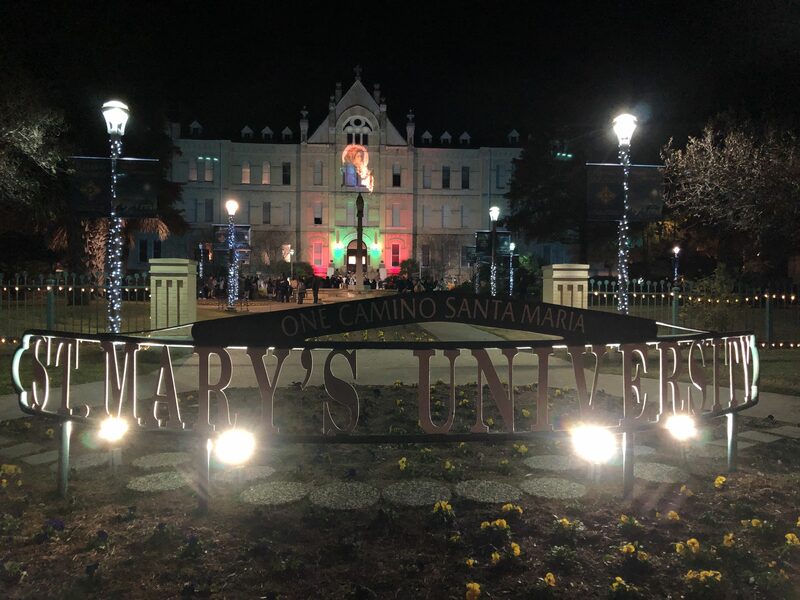 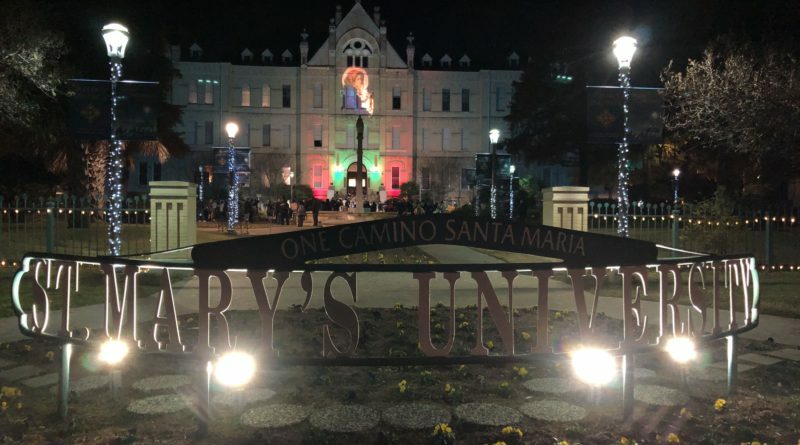 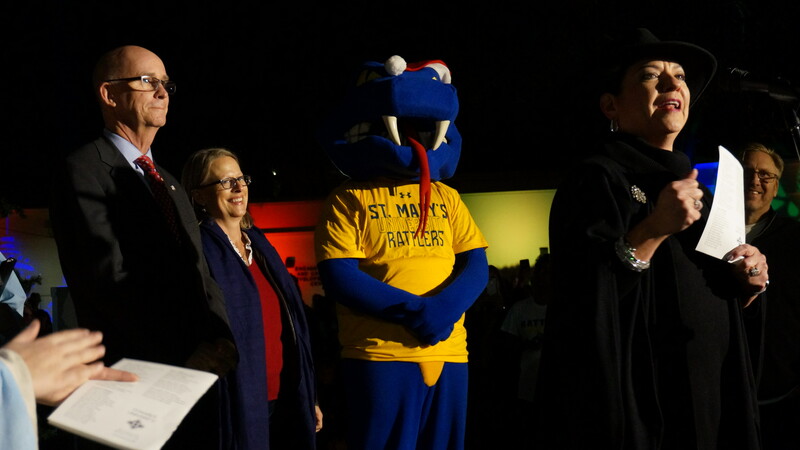 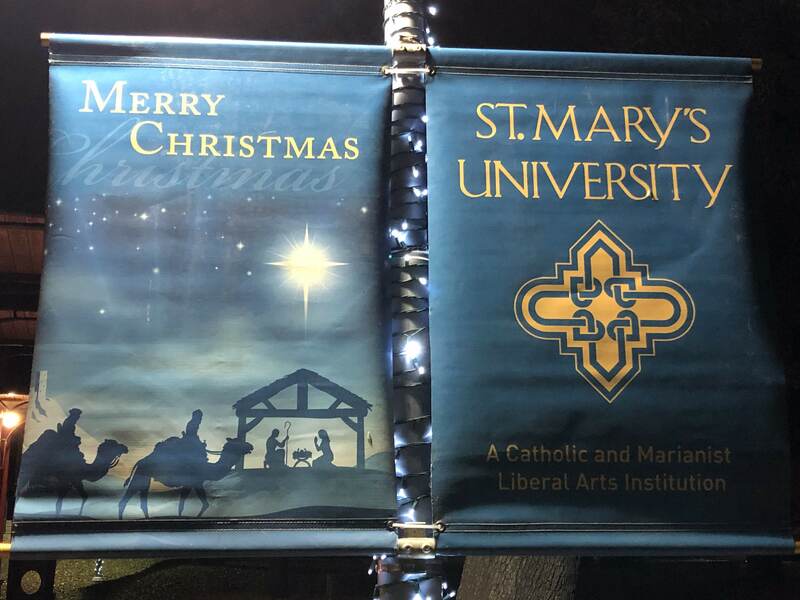 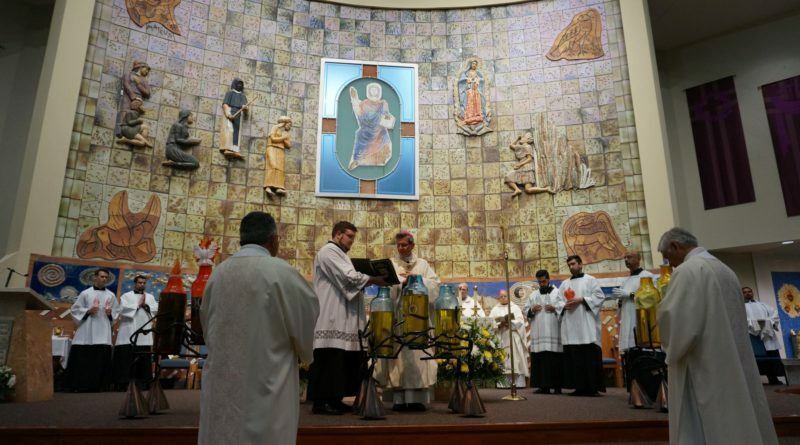 More than 1,000 members of the St. Mary’s community gathered for song, prayer and viewing the image of the Blessed Virgin Mary with the Christ Child projected onto the front of historic St. Louis Hall. 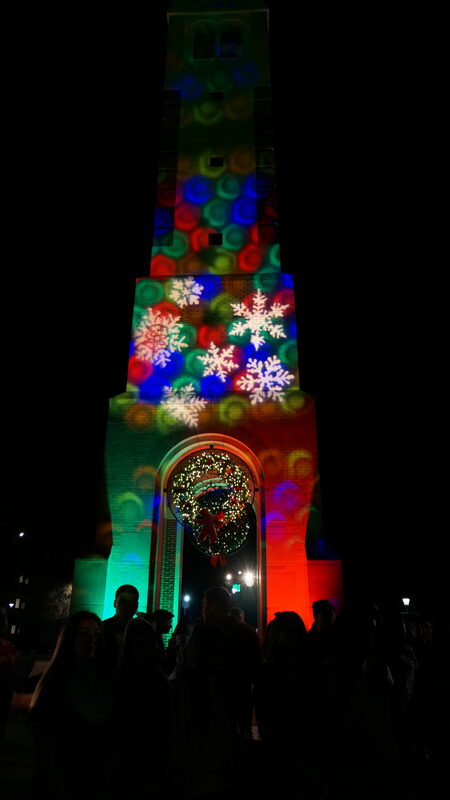 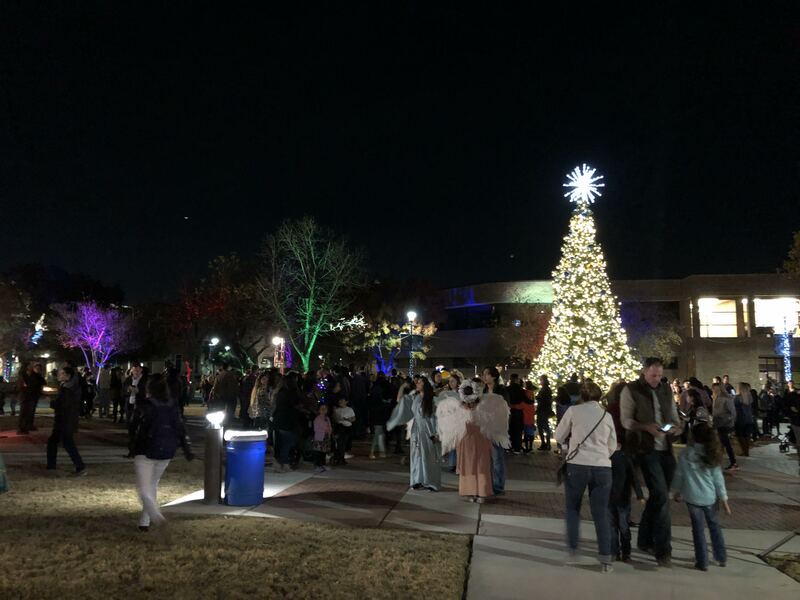 The crowd processed past the Barrett Memorial Bell Tower to the Nativity scene, then assembled around a large Christmas tree for the lighting. There was 4 inches of man-made snow on the ground to play on during the alumni social.